Architecture and design firm NoackLittle has a knack for transforming commercial spaces into moneymaking entities. Since 2002, the firm has been helping elevate brands through design to increase their ROI, or “Return On Imagination.” The firm’s tagline also refers to this as “The NoackLittle Advantage,” a guiding design principle that focuses creativity on maximizing a client’s investment. “We believe good designs give you tangible results,” said Clay Little. NoackLittle is sought after for their approach to identify deserted commercial properties and reposition them as high-performing/high appealing assets for both building owners/investors and tenants. Their 1300 Guadalupe project serves as the perfect example. The firm purchased a run down, abandoned building and completely renovated it into a beautiful, functional and highly desirable workspace that was fully leased by opening day. When 1300 Guadalupe first crossed the company’s radar, “the building had a whole lot of residents,” joked Little. “There were about 1,000 pigeons and a few homeless people,” he explained. “The structure was empty and derelict. The developer who owned it at the time had gutted the two-story office building and kicked everyone out to turn it into a four to five story condo building, but that didn’t happen,” he noted. NoackLittle bought the development shortly before it foreclosed and kept only its original structure. Everything else was completely renovated from the ground up. Among other additions the firm put in a roof deck, stairs, an elevator, windows and made it four stories on one side and three stories on the other with a basement. This redesign stemmed from the street to the building to the sky. “We added trees to the landscape and installed all the sidewalk,” said Little. The outdoor living space located on the rooftop features a lounge complete with a wet bar, refrigerator and game station. 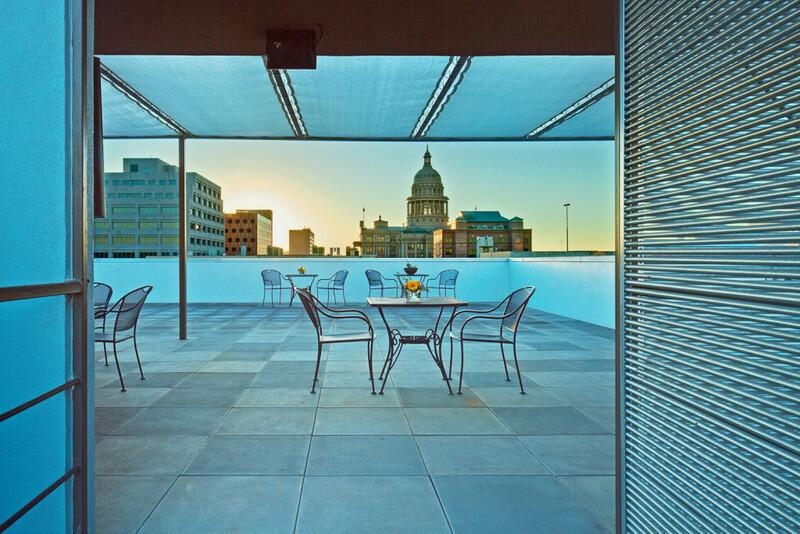 Tenants can relax and work on the building top where they have a view of the Capitol. This welcoming setting has been a popular spot for events of sorts, including engagement parties. 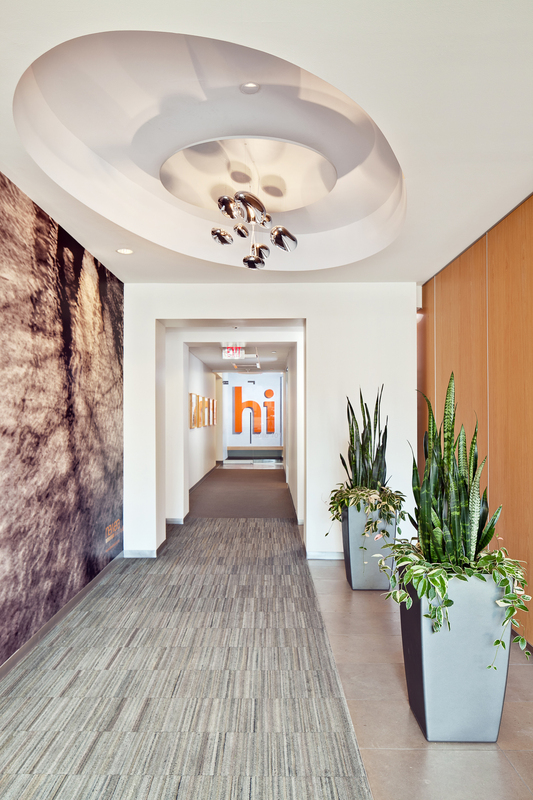 Tenants have a number of reasons to like their space at 1300 Guadalupe. The firm designed this entity with the idea that the modern day office space is not really just a place to work anymore, but more of a lifestyle. Here, tenants get an unregulated space to enhance their own culture, and a spot where they burn their own electricity. 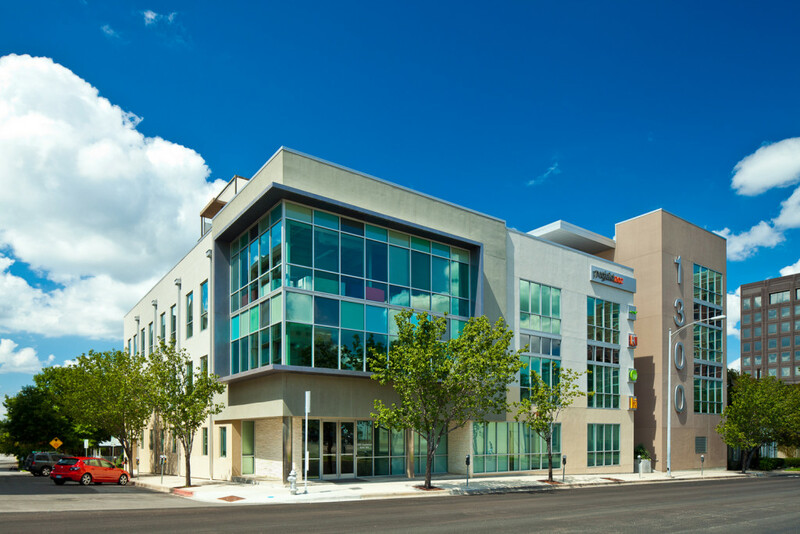 The building functions under Austin Energy 1-star (the lowest category), has low-VOC paints, proximity sensors for regulating air, low energy consumption light bulbs, low flow water for sinks and toilets and high efficiency air conditioning/heating systems. Compared to older, non-energy efficient buildings, bills at this greener location tend to be half the cost for a larger area of space. The lot’s notable re-developmental designs won NoackLittle an ABJ Real Estate Award for Design in 2012. “We are very proud of this award because it stems from the real estate sector not the design world… so realtors vote on this,” said Little. His firm originally thought the venue would attract Court House District types, but it has instead attracted an array of creative, software and design companies. “This neighborhood is having a little bit of a revitalization,” noted Little. The firm is currently working on another project just up the street on a building that suffered fire damage. NoackLittle thrives on renovations. “I like renovation work a lot,” said Little. The architect asks questions when scoping out a space such as, “what is the building trying to do?” and, “what is the history if there is one?” to assess which direction to take a design. “I renovated a building that was in a fire, and the client wanted me to tear down a 100 x 100 foot space with no cones in it. I thought this was unique, so I went to the history center and discovered the space was made using original framework from Lamar street bridge. It had steel from an old WWII pontoon boat. I mentioned to the client and he changed his mind about tearing it down. We created a museum inside the office building, which ironically now functions as an architect firm,” he said. “We are always looking for what we can find in every building; every building has a story.” The firm tries to determine what the essence is of the building and what it wants to do. 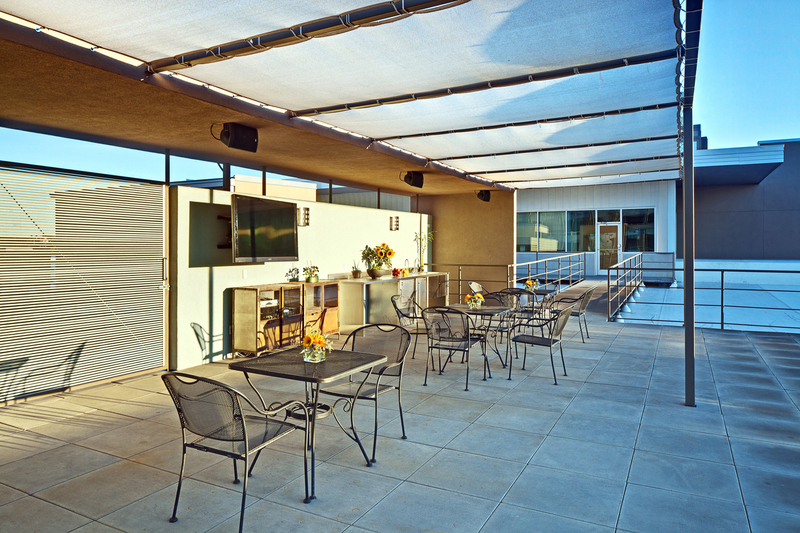 The end goal is, “making [a space] successful for owner-occupiers,” noted Little. The ultimate highest use, however, is sustainability.